Yesterday, it was 70 degrees outside! What the heck??? So, how's everyone's week going? We have been working our way through leftovers and I'm happy to announce that we are now done with Thanksgiving food in the fridge. I'm pretty sure you all know by now that you have to get a little creative and change things up to get kids to eat leftovers every meal for a couple of days (especially turkey). I decided to throw together a turkey pot pie on Sunday since I know how much the guys here love pot pie. 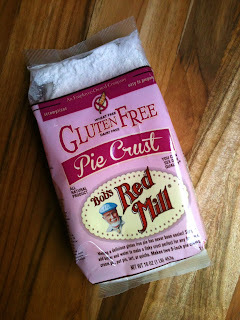 I normally make my own pie crust, but since I had some Bob's Red Mill gluten free crust, I thought this would be a perfect opportunity to try it out. This is a new product for Bob's Red Mill and I'm happy to say that it worked like a charm. The boys loved it! 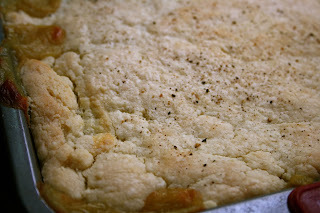 Flaky, buttery and so easy to work with (which is a HUGE bonus in my book)! Perfect! This recipe is so easy to put together and it's definitely a crowd pleaser! It's really easy to make vegetarian too (which is what mine was with chickpeas). Prepare pie dough according to package directions. In a large pot (I used a high sided sauté pan), combine all the ingredients. Cook on medium heat stirring often until thickened. Pour pot pie mixture into a 13x9 casserole dish. Top with prepared crust. Poke holes on top to vent the crust. Brush top with melted butter. You can add a little extra salt and pepper to the crust like I did at this point too. Bake at 375 degrees for 45 minutes to an hour or until browned on top. What's your favorite way to use up Thanksgiving leftovers? Ours actually went pretty fast, but turkey tends to dry out with reheating so putting it in things really does help. I'm sharing this on next week's Slightly Indulgent Tuesday. Girl - it was 76 here yesterday and this morning started at 50 and was 46 at the end of my run. Ice starting tonight. What? I'll have to keep an eye out for that crust. I love Bob's Red Mill products. Ooh! This looks so good! I am so making this for my boys! They're obsessed with chicken pot pies. :) Off to read your half marathon post now! I have GOT to try that crust!! YUM! 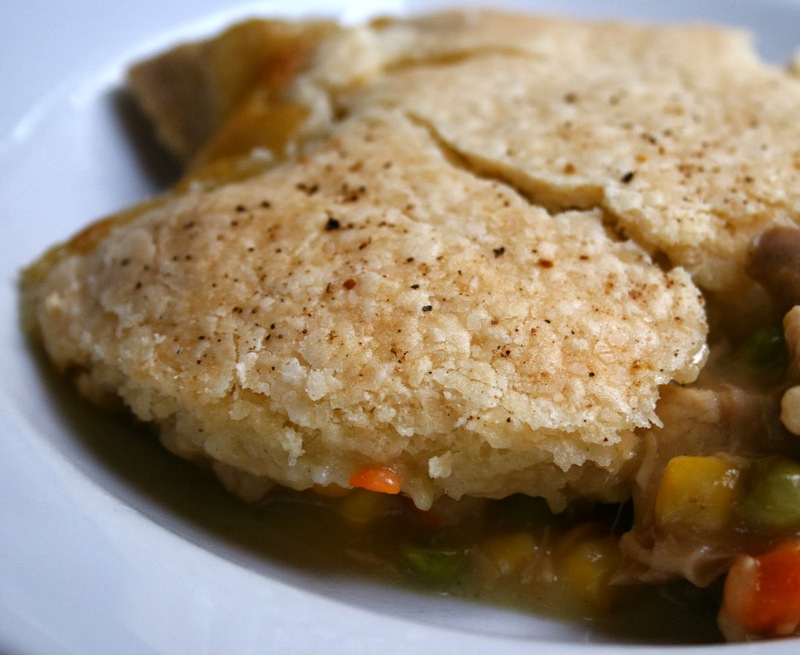 My husband loves pot pie and I'm a fan of the veggie stuffed ones. I'll have to give this a whirl. Thanks for sharing. Very cool that they make a pie crust now!